Since 2013 “Scheiny’s All Star Yiddish Revue”, serves audiences a smorgasbord of Yiddish music. Deborah „Scheiny“ Gzesh, vocals, saxophonist Martina Cizek, accordionist Muamer Budimlic, and rhythm section, drums and bass, offer an entertaining repertoire ranging from traditional songs to Yiddish swing, new klezmer revival and 50’s & 60’s shtick on a musical roller coaster ride from Belz to the Borscht Belt and beyond. Singer, actress, producer, teacher and of course, Jewish mother. A native of Chicago’s South Side, subjected to a rainbow of musical influences and languages, Deborah began as a star struck, wide eyed student of the performing arts at an early age. 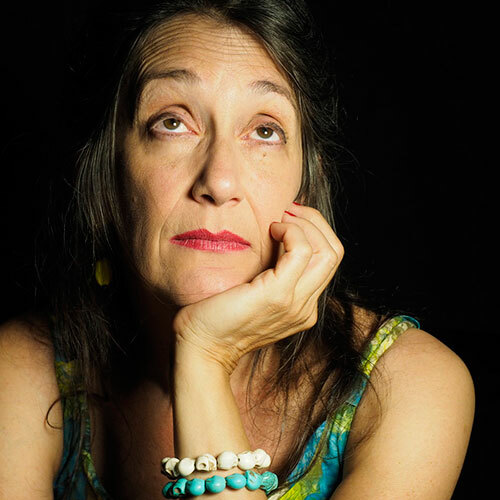 She has trained in improvisational theater at Chicago’s reknowned Second City, dance, theater and music studies in New York and Chicago and looks back on decades of stage experience in the USA and Europe (won’t say how many). Scheiny is looking forward to a few more years of entertaining audiences and most of all herself! 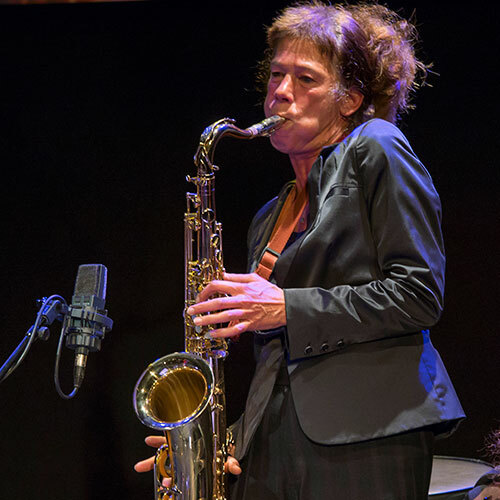 Freelance musician and sound technician with klezmer “chops”. Born and raised in Vienna, Martina plays and composes music for theater, film, radio and dance projects in Austria and around the world. She was a steady member of the Austrian Yiddish music group “Gojim”. At nearly the opposite end of the music spectrum, she is an enthusiastic interpreter of the music of Ernst Krenek! Wolfgang "Vincenz", a native of Vienna, has played bass, tuba, trombone, comb and euphonium in Austria, Poland, Croatia, Switzerland and many other places reachable on land. Since 1996, he is well known to Austrian audiences as front man of the infamous Viennese trio “Kollegium Kalksburg”. He also tries his hand at writing poetry, composing for theater, dance and circus and has published two books in collaboration with the silkscreen works of Heimo Wallner. Vincenz appears on numerous CDs and recordings of his own and other’s endeavors. 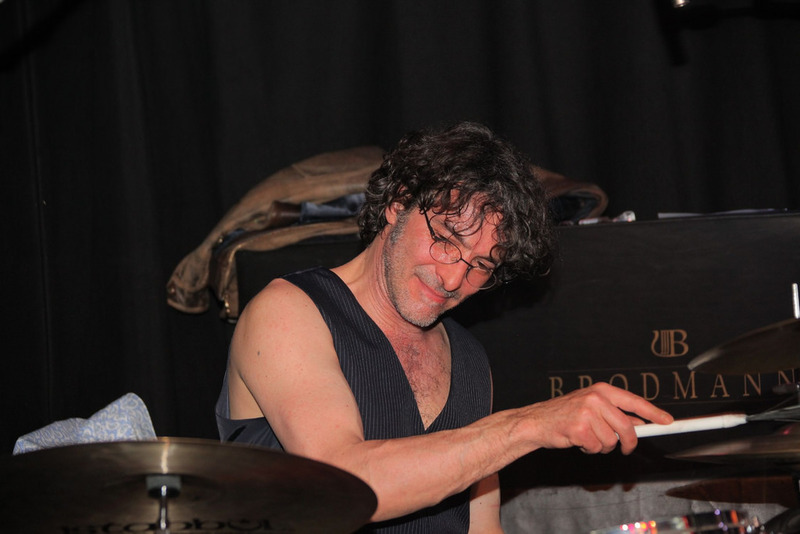 Drummer and Viennese contra-guitar player, composer, arranger, Paul is very well known in the Austrian music scene. Together with bassist W.V. Wizlsperger they are two thirds of the groundbreaking new Viennese song trio “Kollegium Kalksburg”. 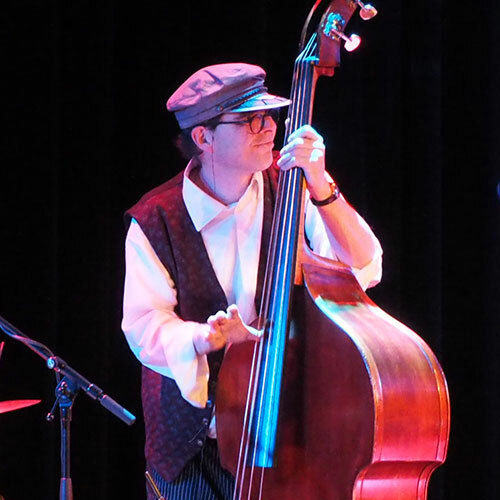 Paul began as a Dixieland drummer at his trombonist father’s knee and has a musical range spanning styles, eras and cultures across the globe. Internationally he’s performed at music festivals and venues in Austria, USA, Russia, Bulgaria, Morocco, Italy, etc. He’s also performed and composed for theater and film and was awarded along with “Kollegium Kalksburg”, the Austrian Film Prize 2011 for Best Score and the first Hans Koller Prize 1997 for Jazz Recording, „While you wait“ (Löschel/Skrepek/Zrost). Paul's virtuosity can be appreciated on dozens of CDs and recordings made in Austria of his own and other's musical works. Muamer Budimlić is a promising newcomer on the professional music scene in Austria. Born in Bosnia Herzogovina and trained at the music conservatory there, Muamer is currently a music student at the University of Vienna studying composition alongside a number of instruments. 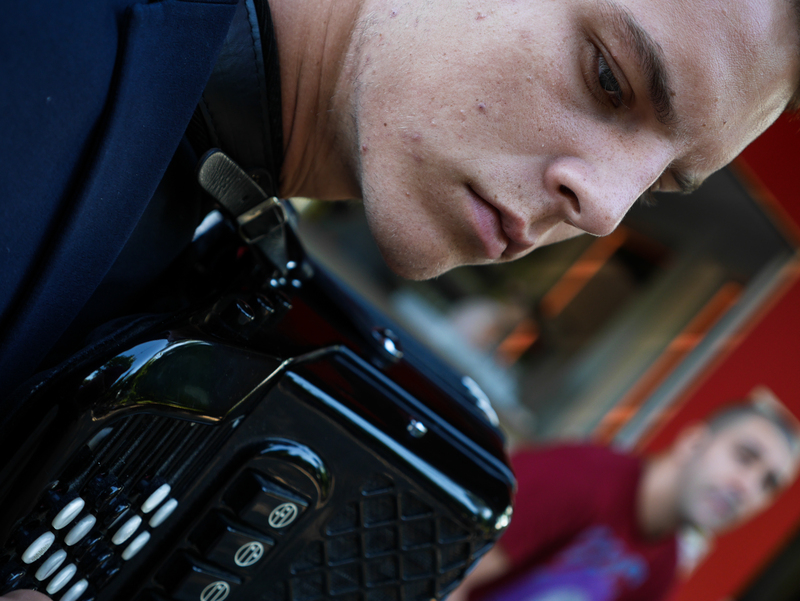 A multi-talent, he plays piano, drums, electric bass and as he proves with „Scheiny’s“ is a prodigy of the accordion. Muamer has, much to our delight, accompanied „Scheiny’s“ a number of times.